California-specific analysis, forms, and checklists help you address all areas of concern of your elderly clients. The first baby boomers are reaching retirement age. They are mapping out their own future, providing for children and grandchildren, and caring for aging parents. And they all have lots of questions - about financial planning, health care, charitable gifts, nursing homes, housing and a host of issues related to aging. You need to respond to those questions, and also to meet the needs of your current elderly clients by keeping abreast of this rapidly evolving area of practice. 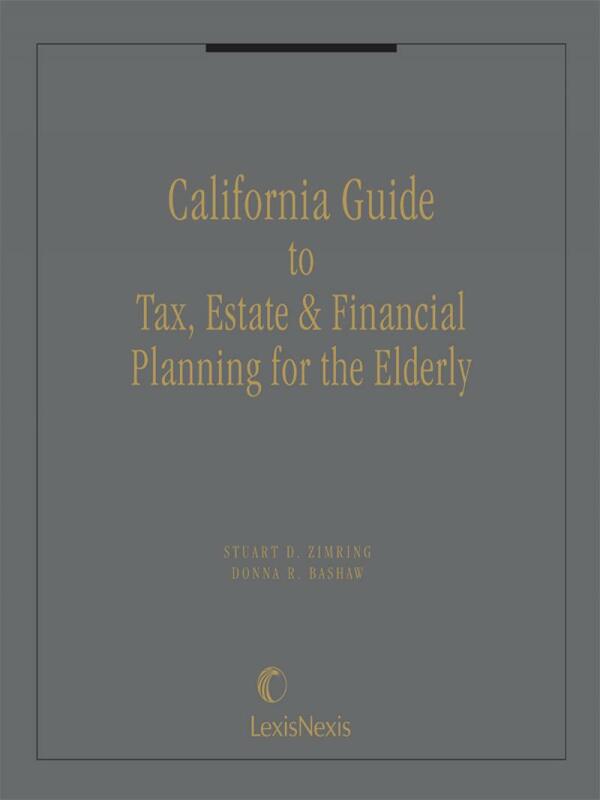 California Guide to Tax, Estate & Financial Planning for the Elderly has been specifically designed to help increase your effectiveness and productivity. 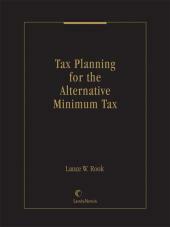  A glossary of acronyms at the beginning of the book helps you identify state and federal agencies and initiatives.  A section of common client questions begins each chapter and leads you directly to the information you'll use most often.  Hundreds of practice notes throughout the text provide useful tips and suggestions, while cautionary notes alert you to areas of special concern.  Checklists at the end of each chapter help ensure that you have addressed your client's needs methodically and completely.  Forms on disk, included at no extra charge, helps you produce accurate documents quickly and efficiently. 1 volume, loose-leaf; updated annually. Mr. Zimring is a Fellow of both the National Academy of Elder Law Attorneys (NAELA) and the American College of Trust and Estate Counsel (ACTEC), a past President of NAELA (2005-2006 term), and a member of the Council of Advanced Practitioners (CAP) of NAELA. He is certified as a Specialist in Estate Planning, Probate and Trust Law by the Board of Legal Specialization of the State Bar of California. 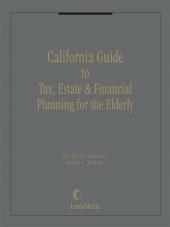 He is the co-author of California Guide to Tax, Estate & Financial Planning for The Elderly (LexisNexis). In addition, he has published articles in numerous journals and newspapers. He is also a member of the Estate Counselors' Forum, the San Fernando Valley Estate Counselors' Forum, Warner Center Tax & Estate Counselors' Forum, the San Fernando Valley and Los Angeles County Bar Associations, State Bar of California, Southern California Council of Elder Law Attorneys and the Southern California Chapter of NAELA. Mr. Zimring serves on the Boards of Directors of a number of non-profit organizations including the National Senior Citizens Law Center and ONEgeneration. 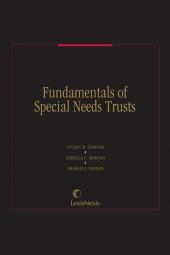 Mr. Zimring lectured in Law for the Los Angeles Community College District from 1973 to 1983 and is a frequent Guest Lecturer at California State University Northridge and Stetson University College of Law on issues in Elder Law and Special Needs Trusts. 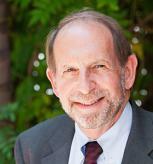 He is a member of the Los Angeles Superior Court Probate Volunteer Panel and Mediation Panel. He is admitted to practice in California and U.S. District Court, Central and Northern Districts of California and the U.S. Supreme Court. He graduated in 1968 from the University of California at Los Angeles with a B.A. degree and from the University of California School of Law in 1971 with a J.D. degree. Donna R. Bashaw practices elder law at the Elder Law Center in Laguna Hills, California, and is a certified elder law specialist. She is a frequent presenter for California Education of the Bar, for the National Academy of Elder Law Attorneys and for the California Advocates for Nursing Home Reform. Mrs. Bashaw is on the national board of directors for the National Academy of Elder Law Attorneys and is also the chair of the exam writing committee for national certification of elder law attorneys. She was named a Fellow of the National Academy of Elder Law Attorneys in 1997.